I’ve been slowly making my way through the drugstore foundations over the last few years, working out what ones are worthwhile and what are not so much. 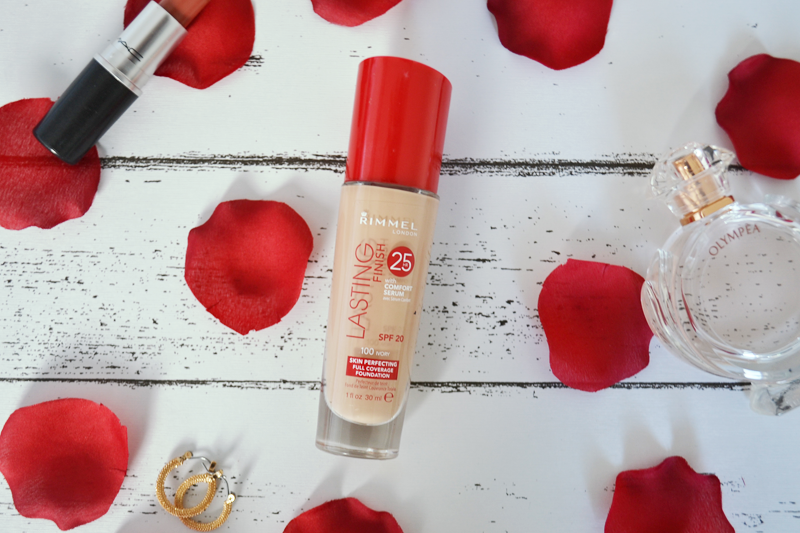 Next on my list was the Rimmel Lasting Finish foundation! I picked up this foundation in the shade Ivory, which I think is a pretty good match for my skin tone if blended down my neck well. I’ve tried applying with both a buffing brush and beauty blender sponge, and both work great. The foundation is omedium coverage, not too cakey and blends well. The finish is pretty matte which is what I always go for. The 25hr coverage is a bold claim, and is the only downfall of the foundation. Let’s be honest, has anyone ever found a foundation that lasts that long?! And who wears makeup for 25 hours straight anyway?! Despite this, I have found this will last me a good day of uni without budging too much. Another thing I’ve found with this which I often struggle with, is that it doesn’t leave me looking too shiny by the time it reaches midday. A bit of powder on top leaves me good for the majority of the day. I think there is nothing worse than a foundation that leaves you looking like a disco ball! For now, I think this is my favourite drugstore foundation. Have you tried it? What one would you recommend I try next? !